Our “Love Stories” videos attest that the Phillips can be a place for romance; today I was privileged to see the museum work its magic. 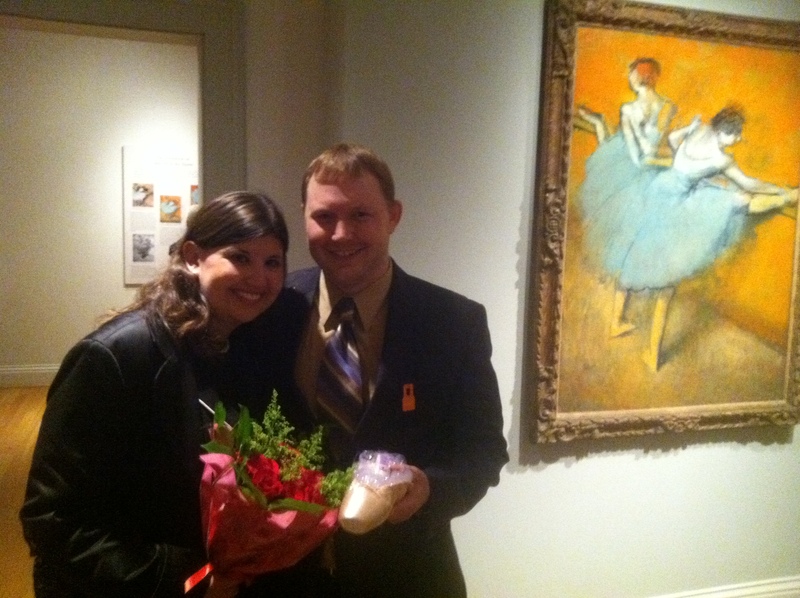 I was strolling through the Degas exhibition with some colleagues when we spotted Eric Brafford bending down on one knee to propose to Jill Zeigenfus in front of Dancers at the Barre. After we were sure she had said yes, we couldn’t resist snapping this photo. Congratulations Jill and Eric! We’re so happy for you. This entry was posted in Exhibitions, Experiment Station and tagged Degas, love stories, permanent collection. Bookmark the permalink.